I respectful beg to disagree that you didn’t get it, Ted – you didn’t WANT to get it, and for reasons that are justifiable. I think your skepticism was/reasonable and bears further discussion. At the height of his critical adulation, Springsteen the Cause could be overbearing and insufferable. There are solid historical reasons why he was praised to the skies in those days, of course – in an era of singer/songwriter navel-gazing, Springsteen’s vision was wide and his empathy appeared to be deep. His songs acknowledged more than the unstoppable libido of Youth Culture; towns and families and responsibilities existed in his world. The fact that he could make the stuff of West Side Story-style opera out of these elements was his great glory and his enduring flaw. Everything on Born to Run sounded like A Big Deal, which ennobled his working class heroes but also undercut the inherent goofy charm that lies at the heart of real rock ‘n’ roll. 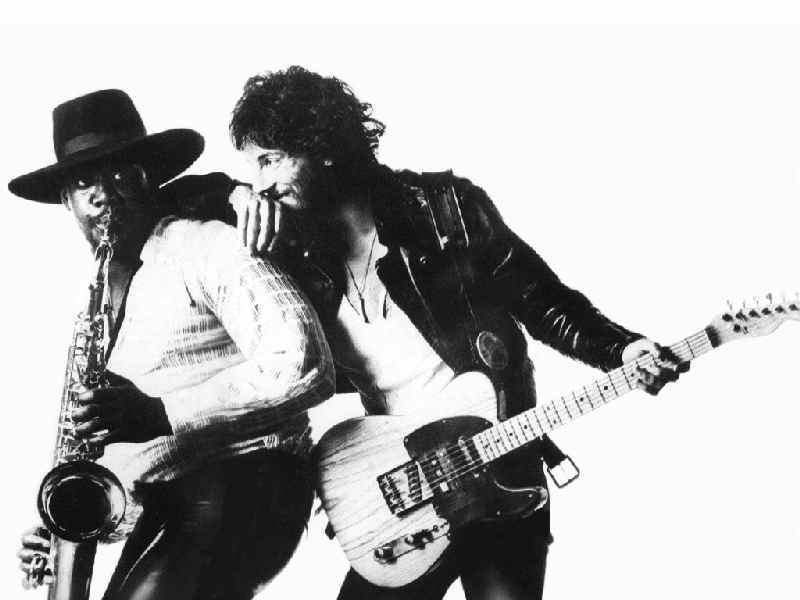 The fact that people beyond Springsteen’s band mates wanted to call him The Boss always bothered me. But of course, his admirers pumped themselves up by pumping him up. That’s populism, which can be noble and stupid simultaneously. As for Clemons, his saxophone articulated as much – if not more –of what the songs were about as Bruce’s lyrics did. No mean feat. Say what you will about Springsteen...whether his band was highly pedestrian,didastic in the songs, over commercialized, boring, great, legendary, or just plain rock and roll... bruce and the band could entertain in concert. Whew! Bruce never fails to give his all to his audience. I have never walked away from an E Street concert without being totaly exhausted. I always feel entertained, never cheated, and feel that he never only relied on the "hits" but gave more. I'll always believe Bruce, along with or in addition to the E Street Band deserve his and their rightful place in rock and roll history.